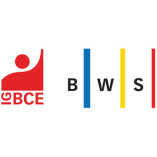 IG BCE BWS Betriebsrat Seminare offers a professional service. IG BCE BWS Betriebsrat Seminare uses effective teaching aids and materials. IG BCE BWS Betriebsrat Seminare oral statements are supported by verifiable information sources.